The Redfern Gallery is pleased to announce that John Carter RA is the subject of a new show at the Museum of Perception MUWA, in Graz, Austria. Entitled Extended Painting, the exhibition will showcase a series of 'wall-objects' created from 1986 to 2017, which are, in the artist’s words, “an extension of painting into three-dimensional space”. The unique exhibition space at MUWA has meant that each work hangs on a separate wall, with the viewer unable to see all the works at the same time. “Each is on a separate wall but they are joined together in a marvellous procession … it makes a wonderful narrative as you move around … the viewer is able to discover the works one after the other”, says Carter. With an emphasis on Constructivism, the Museum of Perception has staged recent solo exhibitions of Tony Cragg and Daniel Spoerri, among others. Extended Painting opened in August 2018, and runs until 1 March 2019. 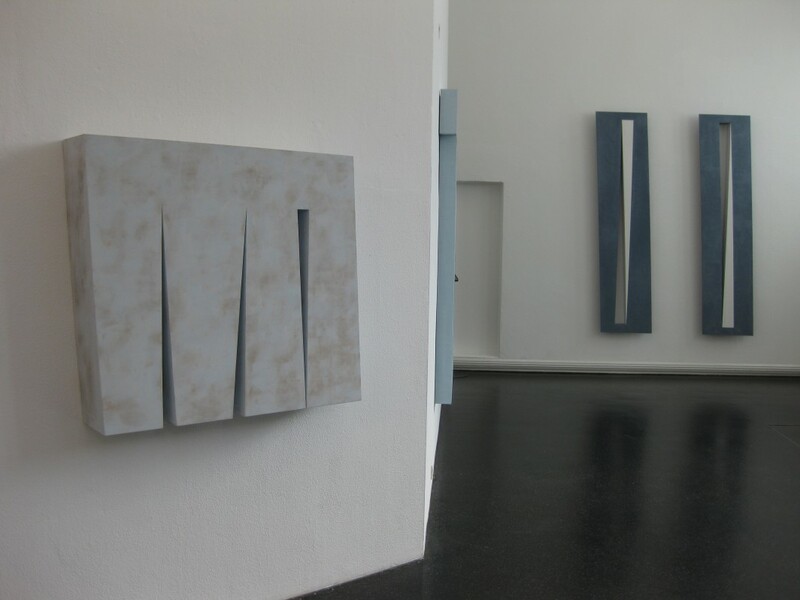 The museum's next exhibition will be a large-scale group show celebrating the 95th birthday of the German poet and artist Eugen Gomringer, which will also include work by John Carter.